Sustainability and care for the environment were top priorities in the construction of the Snyder Center. To highlight the innovative systems used in the building, a system of information graphics were developed, both for the interior spaces and the exterior landscape. 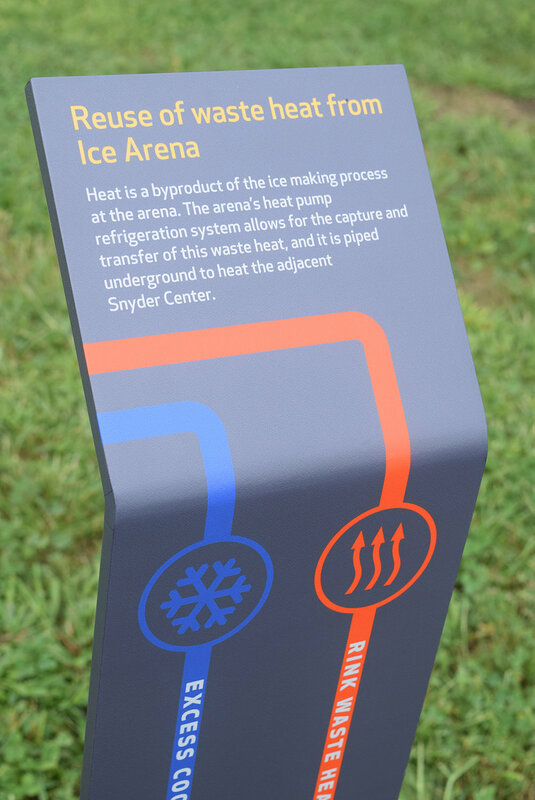 The signage is integrated into the overall branding and wayfinding signage, and highlights features that include the roof-top 1,778-panel solar array, reuse of waste heat from the adjacent arena, reclaimed wood from trees removed from the site rain gardens and storm water detention ponds.